Sentinel-2A satellite sensor was successfully launched on June 23, 2015 at 03.51:58 am CEST from a Vega launcher fom the spaceport in Kourou, French Guiana. 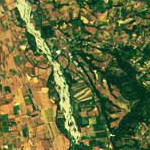 Sentinel-2A satellite is the first optical Earth observation satellite in the European Copernicus programme and was developed and built under the industrial leadership of Airbus Defence and Space for the European Space Agency (ESA). Watch launch. Image Copyright © ESA and Airbus Defence and Space. All rights reserved. 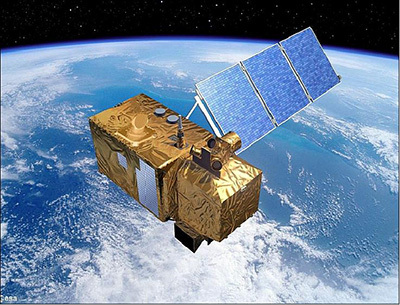 Sentinel-2A satellite was built by Airbus Defence and Space will add color to the Copernicus programme through multispectral instrument that provides unique image quality. Copernicus is the new name of the European Commission's Earth Observation Programme, previously known as GMES (Global Monitoring for Environment and Security). The mission is dedicated to the full and systematic coverage of land surface including major islands globally with the objective to provide cloud free products typically every 15 to 30 days over Europe and Africa. 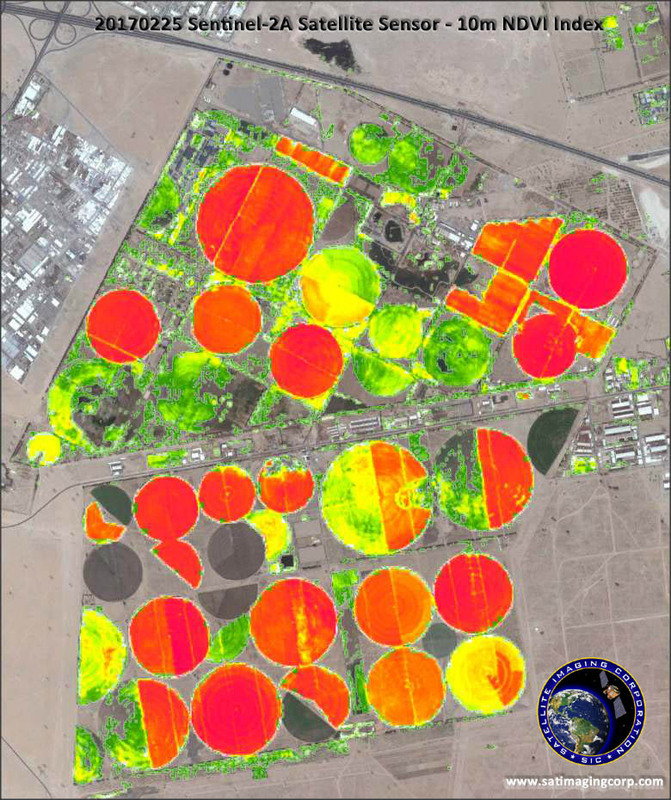 The span of 13 spectral bands, from the visible and the near-infrared to the shortwave infrared at different spatial resolutions ranging from 10 to 60 meters on the ground, takes global land monitoring to an unprecedented level. 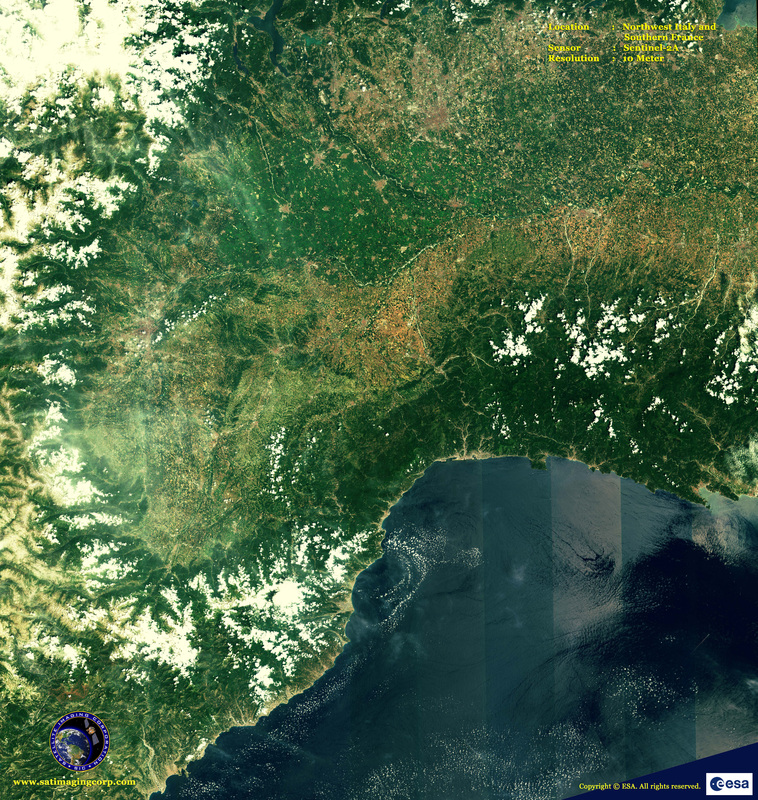 The four bands at 10 meter resolution ensure continuity with missions such as SPOT-5 or Landsat-8 and address user requirements, in particular, for basic land-cover classification. 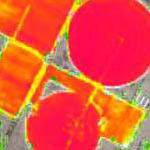 The six bands at 20 meter resolution satisfy requirements for enhanced land-cover classification and for the retrieval of geophysical parameters. Bands at 60 meter are dedicated mainly to atmospheric corrections and cirrus-cloud screening. 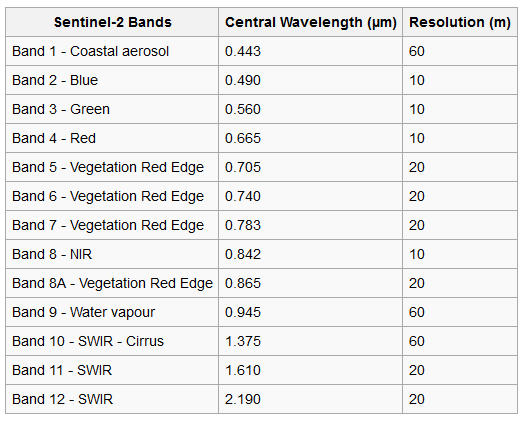 Sentinel-2A satellite is the first civil optical Earth observation mission of its kind to include three bands in the ‘red edge', which provide key information on the vegetation state. 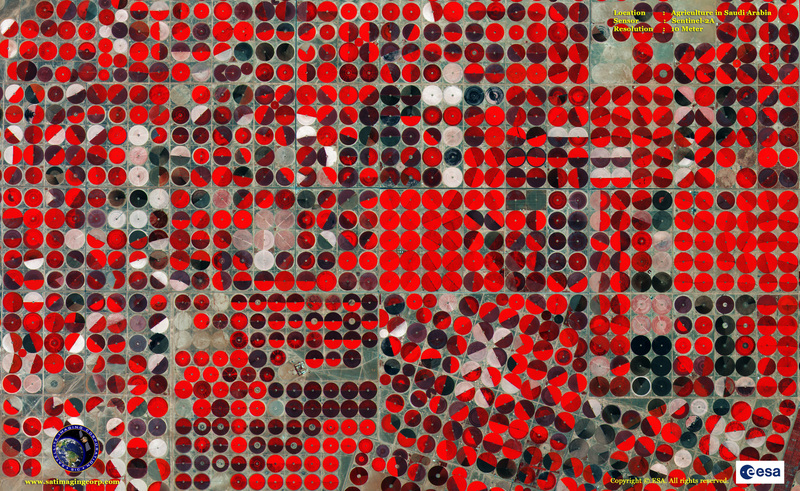 Sentinel-2A satellite will be able to see very early changes in plant health due to its high temporal, spatial resolution and 3 red edge bands. 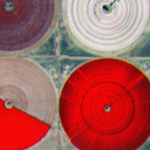 This is particularly useful for the end users and policy makers for agriculture applications and to detect early signs of food shortages in developing countries. Please check back when imagery becomes available.